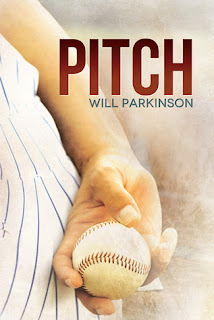 If you've been on my blog lately you'll know that I met Will Parkinson online several years ago when he commented on one of my books. We discussed writing, and he sent me samples of his own stories. Unedited, unbetaed even, I recognized talent, and the ability to tug on readers' heartstrings and enmesh them into the lives of his characters. He disappeared for a while and I worried, until one day he returned, asking, "Would you like to see my novel?" Words can't describe how relieved I was that he hadn't stopped writing me because he'd given up on his dream. No, he was far too busy pursuing it wholeheartedly. His young-adult coming-of-age story took me back, sat me in a classroom, and had me nervously glancing over my shoulder at the popular kids who could easily make my day miserable with a single word or laugh. I shook in protagonist Taylor's shoes in fear of being bashed, and breathed more easily with best friend Benny in the room. I also felt the yearning in Taylor's soul for Jackson, the love interest he thought he couldn't have. When an author can draw you so completely into a story, that's a gift. But there is darkness here, an evil force that comes into Taylor's life, and although it takes physical form, it can also be a metaphor for the pitfalls lurking in wait for young people today: abusive relationships (as in Taylor's case) drugs, bullying, sexting, alcohol, etc. Mr. Parkinson swept me along on this downward spiral. Silence is the foe's greatest weapon, and in this story, it creates a divide between Taylor and those who might help him. Taylor's silence, and the role it plays, struck a chord with me. "Why didn't he just say something?" you ask. That's the thing about being manipulated and controlled--you're controlled completely. Oh, how I longed to hug Benny for caring enough to not give up and to get to the heart of the matter. And for helping to pick up the pieces in the aftermath. He's a hero in so many quiet ways. What also stayed with me was Taylor's journey of self-discovery. More than meet-someone-great-and-fall-in-love, Pitch is, at it's heart, the tale of a young man's learning to love himself, trust himself, in preparation for loving another. Yes, he must stumble and fall on his journey, and find out how and when to let others pick him up while he learns to stand on his own two feet. That brings me to the wonderful people I met in the reading of this book. While Taylor holds a special place in my heart, he's not alone, he's joined by the steadfast best friend, and comes to understand just how special he is when he befriends the wounded Addy. Sometimes it takes knowing someone less fortunate than ourselves to show us how blessed we truly are. I even understood Becca, having once known someone like her, driven by others people's expectations until the lines between fact and fantasy blurred. This is a character driven story, and slow unfolding of plot, nicely paced. It's a debut novel? Really? **Looks back on my own debut novel for comparison and shudders at my unfortunate word choices and stumbling dialog** From what I'm seeing, Mr. Parkinson holds great promise, as further shown in his short story, 500 Miles. I look forward to watching him grow as a writer, and in reading about the people that exist in his head. I wouldn't be opposed to revisiting Taylor, Jackson, Benny, and Addy down the road, to find out how their lives progressed. And yes, I'd like to see some character developement in Becca, too, for she's a part of the story as well. But for me, the very best part of the story? Watching a brand new author spread his wings and fly. What a beautiful review. Your gift for writing extends beyond your own works to the inspiration and encouragement for others. Thank you for leading me to many good choices for my own library, including this one. You're quite welcome, and have returned the favor many times over. Hugs. Think we can hurry Mr. Parkinson along on a sequel?